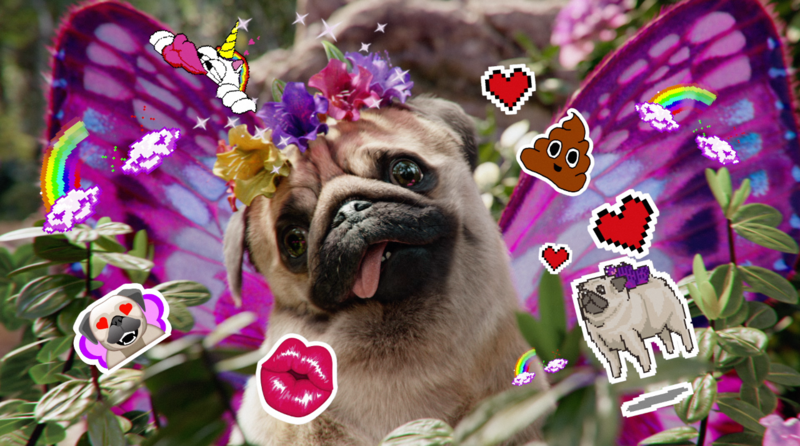 Three UK has put Snapchat and a monstrous pug and butterfly mash-up at the center of its new marketing campaign underlining its Go Binge offering. Wieden+Kennedy London created the ad with help from CGI experts The Mill. The work will debut during the advertising break of tonight’s Hollyoaks and Emmerdale on national TV. John Goodman provides a voiceover atop Africa's Toto.